Kodykoala – who also made the Yoshi Mecha and Zombie Yoshi statues – used a vinyl Gutsman as well as “parts from random robots and things” to make this statue. 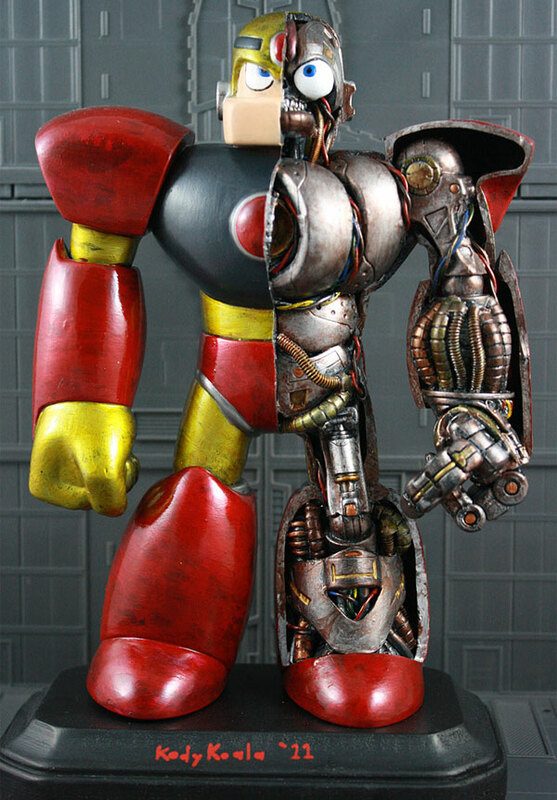 Fortunately for Megaman fans he’s put it up for auction on eBay; bidding starts at $1 (USD). Check out Kodykoala’s Flickr page for more pictures.